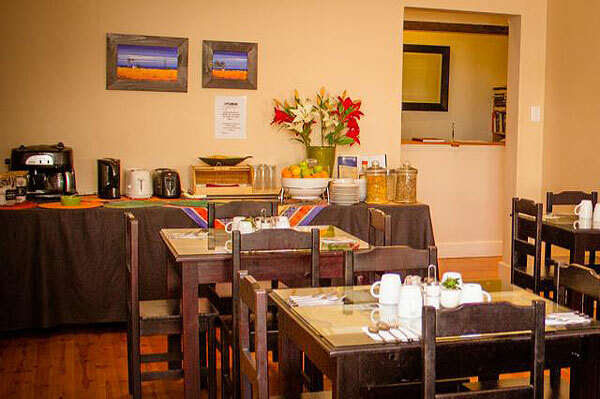 Our Rates range between ZAR320-00 & ZAR445-00 per person sharing. Standard 10% discount if NO breakfast required with stay. Multiple day occupation also qualifies for some discount. 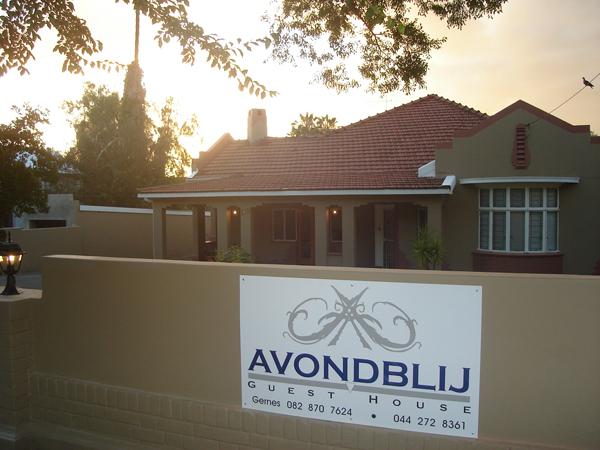 Avondblij Guest House operates with 6 en-suite bedrooms, all beautifully furnished and spacious to make your stay a comfortable and memorable one. 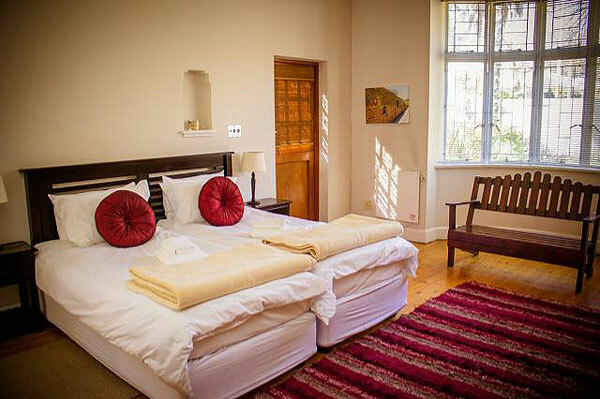 Each room is fitted as a double room with the possibility to be converted into a twin room. 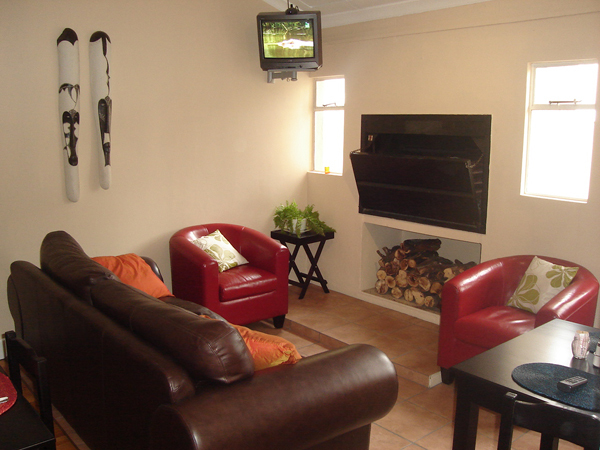 A roof fan, remote controlled TV and an electric hairdryer are some of the added features available in each room. Basic toiletries are provided and each room has a service station with tea, coffee and mineral water at the guest's disposal. Family room(s) are available on prior arrangement. The dining area is cozy, decorated with taste and has a fireplace. 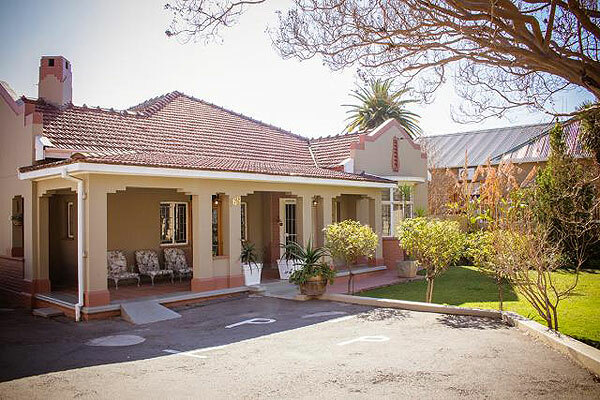 There are comfortable garden sets in front and at the back of the main house surrounded by greenery where guests can relax and enjoy the South African sunshine! 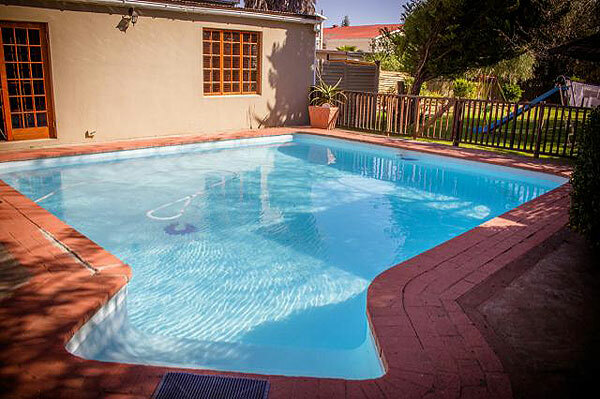 A spacious pool area meets the tranquil lawn and garden area where guests can enjoy the Klein Karoo weather. Phone and fax facilities are available by arrangement. Secure parking is provided for all guests. We can accommodate guests with wheelchairs. A sumptuous South African breakfast that’ll definitely sort you out until lunchtime! An equally delicious dinner is available by prior arrangement. Should you require any laundry services, we can provide it. Any information regarding the town and surrounding area we’ll gladly share with our guests. We can arrange for any transport transfers as well as day-trips should any of these be required. Turn left at first traffic light. Pass 2 STOP signs. 3rd STOP sign turn right (Van Der Riet Str). Drive straight. Pass the next STOP sign - over Route 28 (Baron van Reede). At next STOP sign turn right. 5th house on right hand side, Nr 169 High Street. Pass 3 traffic lights. After 3rd traffic light take next right turn. At STOP sign turn left. 3rd house on left. 169 High Street. 3rd traffic light turn right. After 2nd traffic light take next right turn. At STOP sign turn left. 3rd house on left. 169 High Street. The Breede River Valley produces wines from muscadel to brandy and offers 10 different tourist routes in one area.